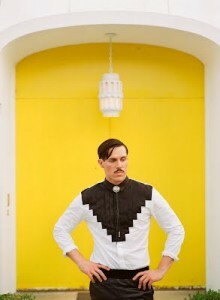 The past five years have been nothing short of a rollercoaster for Aussie singer songwriter Sam Sparro. He was catapulted into the pop spotlight in 2008 via his international smash ‘Black And Gold’, subsequently had to deal with the sudden onset of fame, suffered the breakdown of a relationship, then rediscovered his ‘Happiness’ and grew a moustache. That’s obviously a severely abridged version. With his new album ‘Return To Paradise’ in-store today, we chat to the affable star, who tells us that he’s learned a lot, both personally and professionally, since he first seduced us with those honeyed vocals and movie star looks five years ago. It would only be natural to get caught up in the hype, particularly when you’ve been signed to the prestigious Polydor Records and your breakout single is an international top ten smash. However, Sam tells us that despite all the early attention and industry accolades, his perceptions of fame have changed immensely in recent years. Sam’s new album ‘Return To Paradise’ comes a full four years after the release of his eponymously-titled debut, but despite the seemingly insatiable appetite of his fans, he was in no hurry for it to finally see the light of day. “I did feel a lot of pressure initially,” he admits. “I think that’s why I really took my time. I’ve never been one to buckle under pressure or give in to it, so I really stubbornly took my time making this record. There were things I felt were really rushed with the first album, so I really wanted to be completely satisfied with ‘Return To Paradise’ and know that I’d done everything exactly the way that I’d wanted to do it. Sam’s certainly not afraid to take risks. His cover of Estelle’s ‘American Boy’ on BBC Radio 1’s ‘Live Lounge’ while at the height of his fame was bold, inspired and incredibly brave. He was rebelling against the pre-conceived notions of what it was to be a pop star. Sam came bounding back onto the music scene earlier this year via a new single called ‘Happiness’. It was a funky disco/soul number that the singer had penned in an effort to drag himself out of a low point in his personal life. That was soulful too, we add. “Yes. Soul is something I feel has really been missing from pop music for a while. It’s gone a bit feral,” he says. We couldn’t agree more. If the audial was inspired by the ’70s and ’80s, the visual was inspired by a different era altogether – the black and white film noir stylings of the 1940s. After rediscovering his ‘Happiness’, Sam followed up with a track that apparently saw him rediscovering his middle finger – the rather frank ‘I Wish I Never Met You’. “Well I thought I was writing that song for somebody else at the time,” he admits. “I was working with a Swedish singer/songwriter called Erik Hassle. We wrote that song together. He’s very talented – I love his voice and his style. A really smart kid and a great musician. ‘Return To Paradise’ is filled with good vibes, splashes of soul, funk and disco, all emanating from a love for the music of the five year period between 1978 and 1983 – a time musically that, as previously mentioned, Sam has found himself rather inspired by. Chaka Khan, of course, is a gay icon. It’s a term that might also be used to describe Sam, who’s been refreshingly open about his sexuality throughout his career. We wondered if he felt any sort of responsibility to the gay community due to his high profile. “I feel a responsibility to be a voice of reason in the gay community,” he says. “I sometimes feel really disconnected from this gay identity that I feel is being shoved down our throats. We are a big, wide community full of individuals. We’re not all the same. We’re all totally unique. We don’t have the same spiritual beliefs, we don’t have the same sexual practises. Sam performed at this year’s Sydney Gay And Lesbian Mardi Gras party, along with headline shows in Sydney and Melbourne, and tells us he “can’t wait to come back” to play more live dates in Australia after the European summer, where he’s booked for various shows and festival appearances. But back to that new album. Sam has gone on the record as saying of ‘Return To Paradise’ that he thinks “it’s good” and that he “worked really really hard” and “sang a lot of songs” (check the rather cheeky ‘Return To Paradise’ EPK HERE to see what we’re alluding to). But in closing, given there’s obviously so much to like about about the new LP, we ask him to name his favourite thing about it. “There’s not a single song on it that I don’t love. Which I can’t say for the first album, unfortunately,” he says, honestly. “This one is a much better situation for me. I feel much more comfortable and more able to spread my wings as an artist and follow my own vision, which is really important for me. 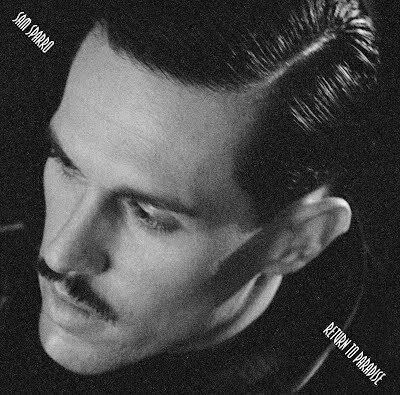 Sam’s album ‘Return To Paradise’ is released digitally and physically today. The singles ‘Happiness’ and ‘I Wish I Never Met You’ are available digitally now. Love this man, whish he would come home more often. Collaborated on Adam Lambert’s new album Trespassing, what a buzz; was at NNNAwards,great album.